After what felt like an endless week, it’s finally (!!!) Friday. And I honestly wish I was typing this intro while chilling in the relaxation dome at the Chester Grosvenor Spa. A girl can dream, right? Meanwhile, here is the review of this fab place and some tips on what to expect and how to make the most of your spa experience. As you might remember, before we had to move, we were lucky enough to live in the city centre of Chester for over a year (we are still based here but just a little bit away from the hustle & bustle). The apartment we rented was alright (but ridiculously expensive at the same time!) and being in the city centre sure did have the perks of having everything literally minutes away. Including the oh-so-elegant The Chester Grosvenor Hotel. You know the kind of building you only dare to eye from the distance because you think you’re not “posh” enough to go inside (not sure why but let’s not open that door lol). Back in February when it was time to come up with a knock-the-socks-off gift idea for my Valentine, I decided to come in and get my better half a gift card for the Spa. It definitely wasn’t an impulse buy. 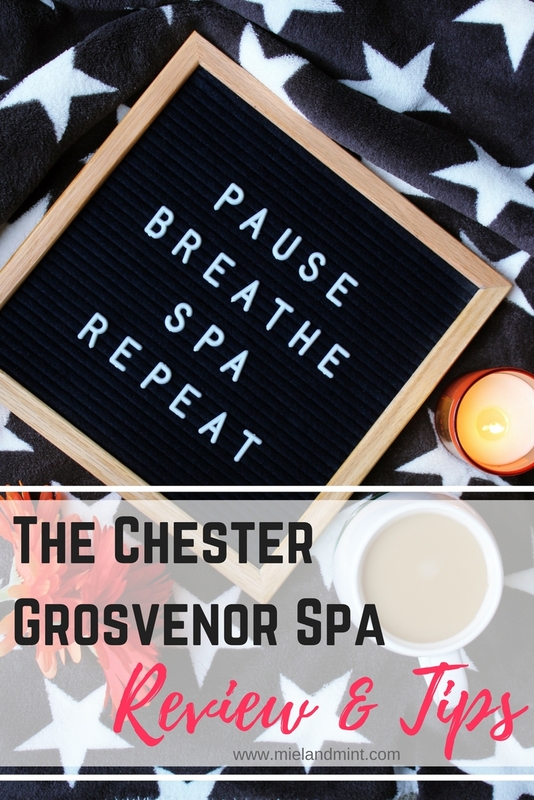 I carefully read the reviews of the Spa at The Chester Grosvenor and was excited to visit it. Not only did we use that V. Day gift card (together – yay!) but I was also contacted by a lovely team at The Chester Grosvenor Spa* to come in and try out other spa treatments. So my plus 1 (= hubby) and moi got to experience and enjoy it (so far) twice in 2017. We loved every minute of it. That’s why this review is pretty much writing itself. I’m bursting to share about it with you guys and gals, especially if you live close enough to pop over for a visit. The Chester Grosvenor Hotel couldn’t possibly have one of the most central and unique locations. It is right in the middle of the city, next to the famous Eastgate Clock. Which is, apparently, said to be one of the most photographed clocks in England. After Big Ben, of course. From the moment we came in through the door we’ve been treated by lovely staff who look after you like you’re royalty. When we made it to the Spa (after what felt like ages trying to park on a busy Saturday afternoon in town), a lovely receptionist gave us the forms to fill in. They were very detailed so that the therapists wouldn’t miss a thing (they follow each guest’s individual requirements and wishes). I made sure to jot down the information about my severe allergic reaction (including the name of the oil) which was thoughtfully noted by my lovely therapist Kairit. Before we booked the treatments, it took me a while to make a decision what to try. The Spa offers so much! Starting from a Thermal Suite to Body Treatments, Holistic to Facial Rituals and Half-Day/Day Packages to Spa Breaks – everything sounded ahhhmazing. We were first suggested to enjoy the Thermal Suite. It included a sauna, ice fountain, crystal steam room, salt grotto and foot baths along with their most divine relaxation area. Starting off from breaking a sweat in a sauna, followed by a crystal steam room, we moved on to the foot baths. That’s where these lovely salts came in handy. After about an hour at the Thermal Suite we were invited to our individual rooms (the Spa currently doesn’t offer couple’s treatments done in one room). Both hubby and I went for one of the most popular Holistic Treatments – a 60-min Stress Recovery Massage. We both did not regret that decision for a second. My therapist Kairit went through my form with me discussing what areas I’d like her to concentrate on and what pressure I’d prefer. I always go for medium to strong. The firmer the better. Because that’s how you get rid of those knots. Then, she talked me through the selection of the treatment oils, let me smell the scents and told me about the results I’d get after using each one. 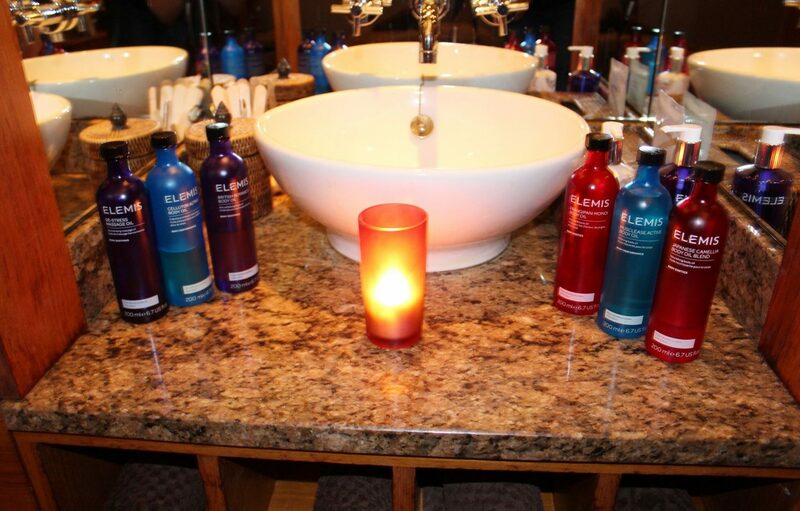 Even though I tried and enjoyed the Elemis De-Stress Massage Oil the previous time I went for a massage at the Chester Grosvenor Spa (it’s more on a relaxing and soothing side, very lavender), I decided to go for something different this time. I picked the Elemis Cellutox Active Body Oil. And, to be honest, I didn’t go for it because of the anti-cellulite and body-cleansing benefits. Though, I could use both of those any day. I just really loved the energizing marine citrus’y scent. The massage was everything I expected and more. Both times I visited the Spa I had a lovely experience with the therapists, and my hubby did too. You can’t fault their professionalism, attentiveness and attitude. After the massage we went to the Relaxation Area to rest and recover. This was probably one of my favourite places to be at. Picture the dome shaped room with 5-6 most comfy beds in a circle. Dimmed lights. Soothing music. Aroma candles and oils. Unlimited refreshing drinks. – The Chester Grosvenor Spa is open every day from 10 to 6 (to 7 on Fridays). – If you’re aged 16 to 18, your visit should be supervised by a parent or a guardian. 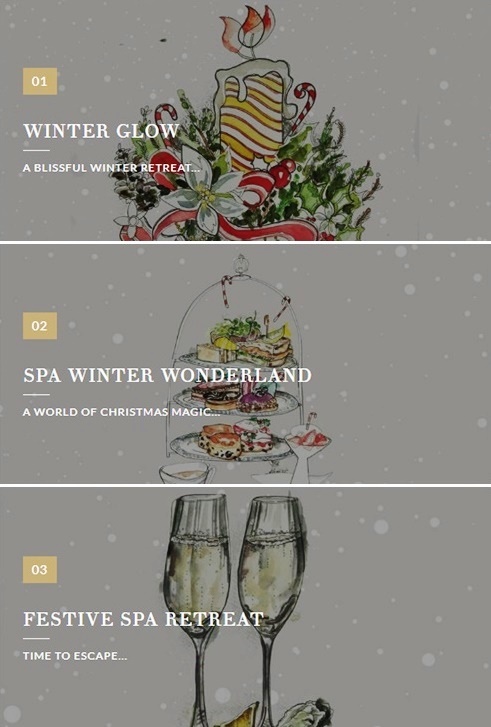 – The Spa is currently running 3 beautiful winter retreats which you can book here. 1. Shower at home/in your hotel room before your visit. 2. Arrive early (or at least on time). It will give you enough time to fill in the form and prep for your treatment. Each minute you’re late takes away from those precious moments you could be melting your stress away. 3. Bring your own swim suit. If you’re going to use the facilities like a swimming pool, a hot tub or a sauna. Every spa should be able to be provide you with towels, robes, slippers and disposable underwear for your treatment (you can wear your own, of course). 4. Do the form right. Even if the form you’re given to fill out might seem pointless, it’s a very important piece of paper. Make sure to jot down your allergies, any medication you’re taking, your health details, etc. 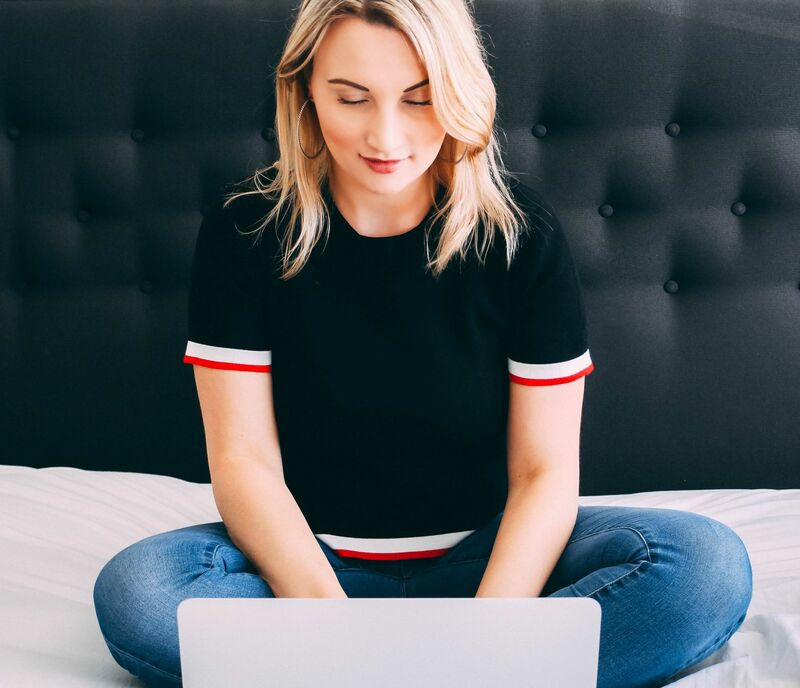 If you’re pregnant (in most spas you would be offered treatments from 12 weeks onward), inform the staff about it and they will tailor your experience accordingly. If you have booked a sauna visit and a massage, head over to the sauna first. Always start with your “wet” treatment followed by a massage and/or facial. 6. Don’t shave (or exfoliate). Boy, did I learn this one the hard way! Make sure not to shave or use harsh scrubs at least a day (preferably two) before your visit. 7. Neither hungry nor full. Just before you go into the spa, make sure to stay away from a big breakfast or a heavy lunch. Do eat something light an hour or two in advance. 8. Speak up if something isn’t right. At any stage of your visit, if you’re not comfortable about anything or feel like something is not right, always speak up. Also, if your therapist is applying the pressure that’s either too light or too heavy, let them know. I remember my very first visit to the spa and the most valuable advice I was given – drink drink drink. If you skip on staying hydrated after your treatments, you might end up getting a headache or feeling light-headed. 10. 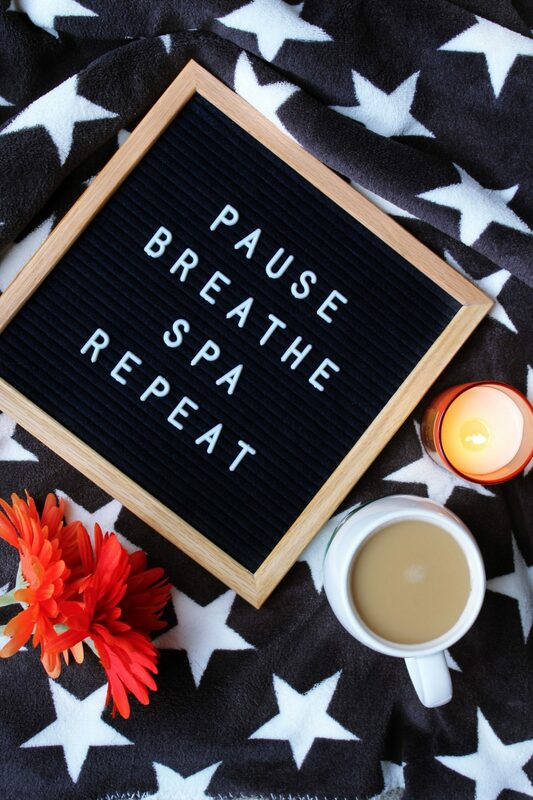 Make it a relaxing day. 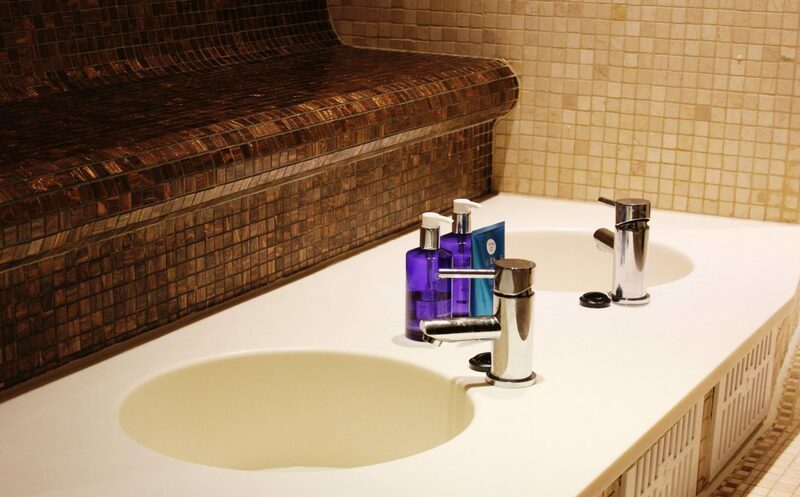 Your visit to the spa shouldn’t end with a huge to-do list with a lot of errands and strenuous work. Make sure your plans after it involve a lot of chill time. Treatments were kindly gifted for review purposes. Content isn’t sponsored..
Leave a comment and let me know if you’ve ever been to a spa. If yes, what are your favourite go-to treatments? If no, which treatments would you like to try?